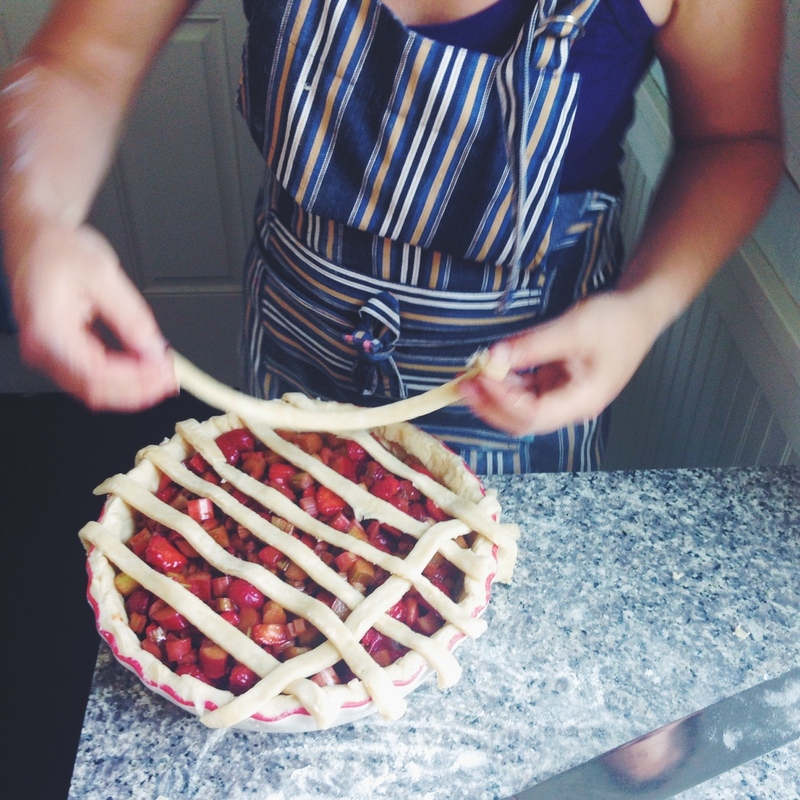 There are so many things to love about Summer: swimming in ponds, long warm days, a million flowers blooming, a huge diversity of fresh local fruits and vegetables, gathering around campfires...and most importantly, it's pie season! 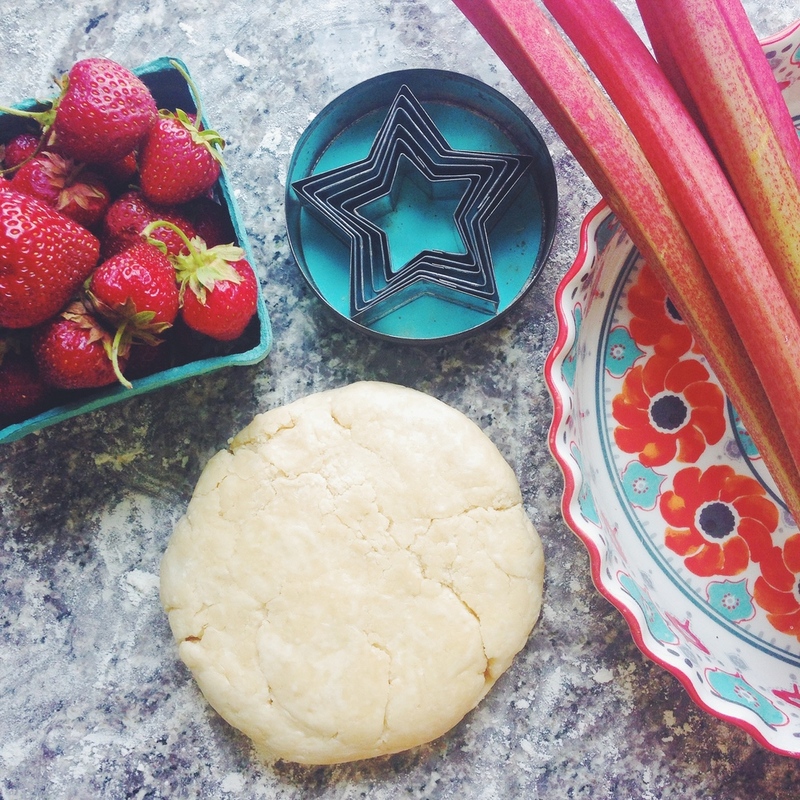 As we officially shift out of Spring (farewell rhubarb!) and fully into Summer (hello strawberries! ), we are able to enjoy the fruits of both seasons. This pie comes together in an ever classic combo that is right on the edge of Spring and Summer. From a permaculture perspective, one of the most important aspects of understanding patterns is that of the 'edge effect'. "In nature, there are no rigid borders, the edge is more a diffuse region of exchange, an interchange of elements and a net for new information, in the form of nutrients, seeds or cultural exchange. Edges are extremely important. They are the most productive areas in terms of species as well as actual physical production. At the edge of two ecosystems, species from both systems as well as special species adapted to the conditions of the edge are found." The edge is very important in terms of biodiversity and production of biomass. At the edge, there is an increased cycling of materials and information. There is a possibility for increased synergism, or mutually beneficial relationships between elements of a system. The edge is seen increasing possibilities for creativity, as it is the point for merging, change and new ideas. Today's pie is right on the edge, allowing for a merging of seasons, enhanced flavors and increased potential for creativity and joy! 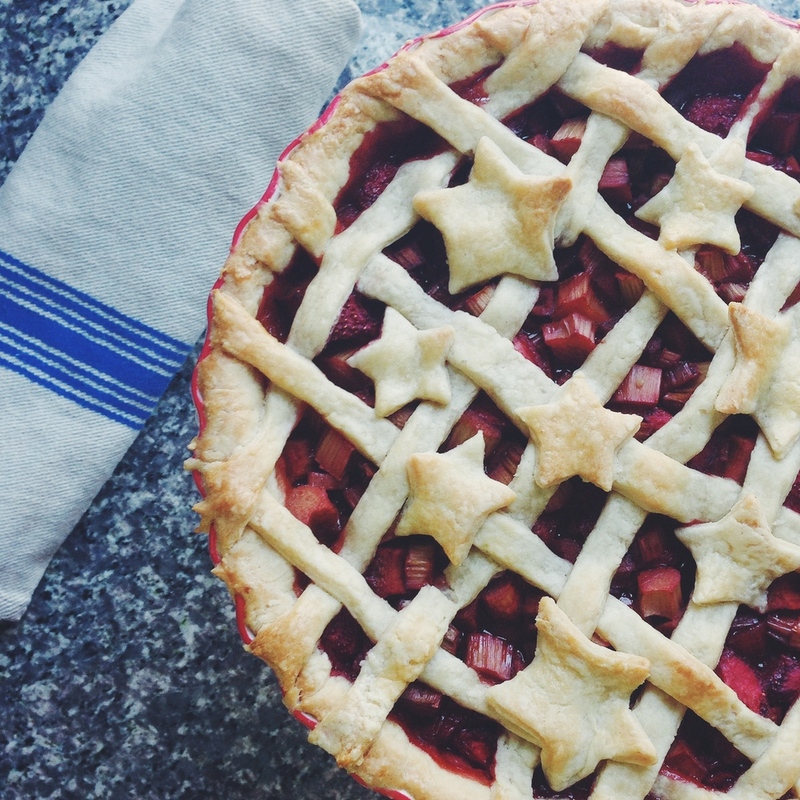 I hope you enjoy this pie as much as we do, enjoy a slice after dinner while you watch the fireflies, or the fireworks this weekend! 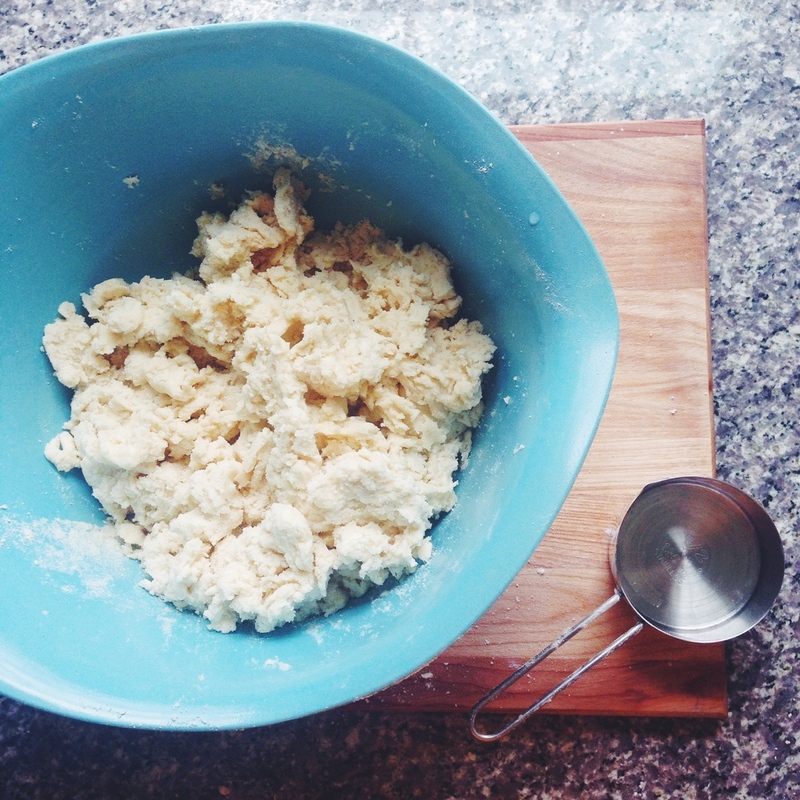 Sift flour, sugar and salt into a large bowl, and whisk to combine. Wrap and refrigerate until ready to use, at least 30 min. 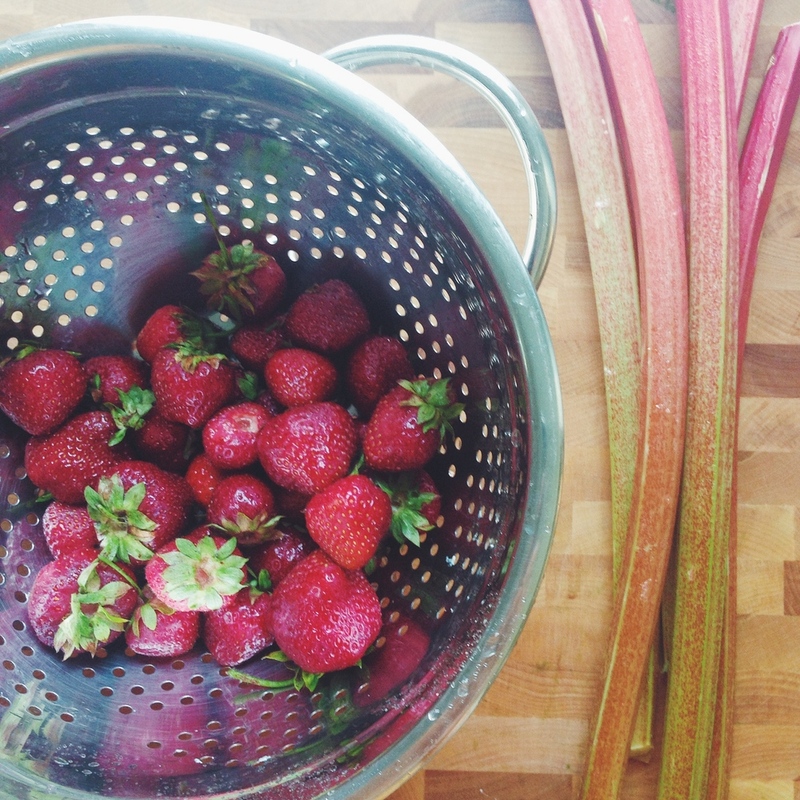 Trim ends off of rhubarb, and cut into 1/2" pieces, set aside 3 1/2 cups. For small berries, cut in half. Large berries, cut in quarters. In a large bowl combine all "filling" ingredients and toss until sugar and spice is dispersed. Roll out one disc into a 10" x 7" rectangle, 1/4" thick. Using a ruler to measure, cut out a 9" x 6" rectangle. From the rectangle, cut 12 strips, 1/2" wide x 9" long. Gather scraps and roll out to 1/4" thick. 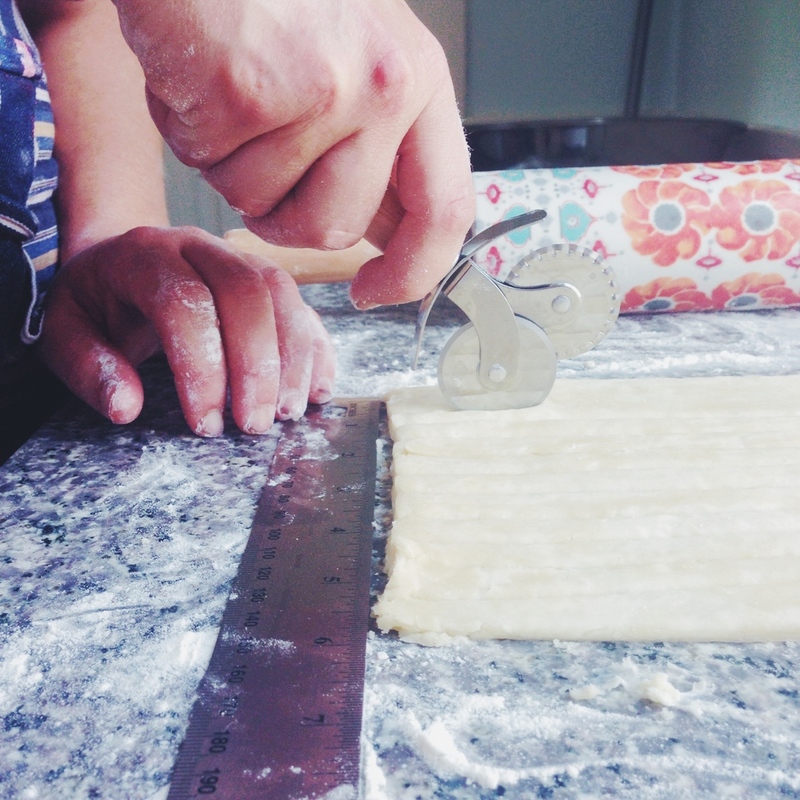 Using star cookie cutters, cut as many stars as you can with your scrap dough. 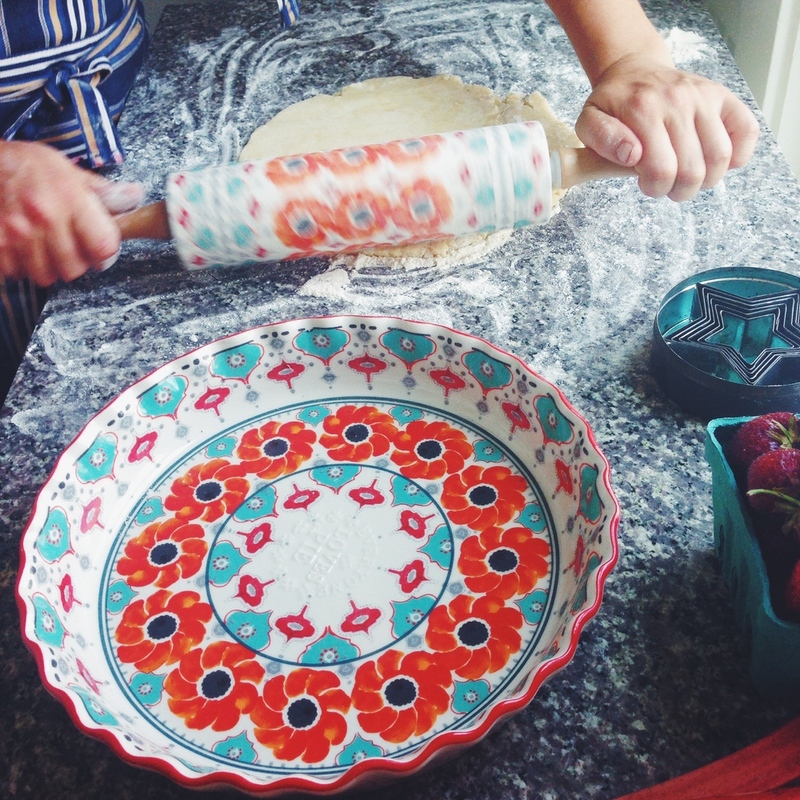 Take one disc out of fridge, and roll into a 12" diameter circle. 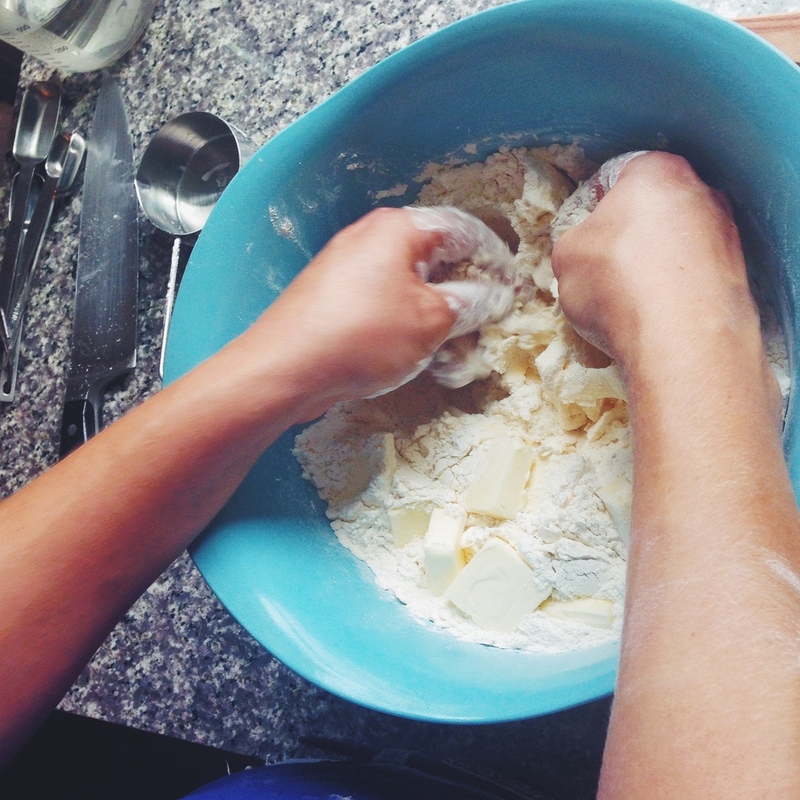 Lay the circle into pie pan, with overhang around the edges. Pinch off the overhang so the dough is even with the pan. Place stars on top of lattice. Make an egg wash (one egg and 1t of water whisked together). Put pie on baking sheet and place in center of oven. After 20 min, lower heat to 350º and bake for about 1 hour, until filling is bubbling and crust is golden brown.